Canstar reviewed and rated 57 products across nine providers. And, for the eighth year in a row, Kiwibank is Canstar Bank of the Year – First Home Buyers! 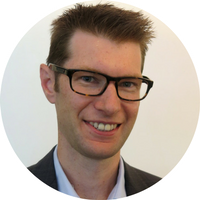 Canstar catches up with Chris Greig, Kiwibank product manager – lending, to find out how first home buyers can improve their chance of getting home loan pre-approval, as well as what options they have for getting the all-important deposit together. What can first home buyers do to increase their chance of getting pre-approved for a home loan? There are two key parts to ensuring you are in the best position for gaining pre-approval for a home loan. Firstly, you need to understand your spending and saving habits. Secondly, to speed up the process, check what documentation you will need to provide to the bank. Understanding your spending habits covers your household budget, any repayments on current debt that you may have such as student loans, and car or personal loans. Establishing a regular savings habit is also helpful. There may be places that you have the opportunity to increase your savings by cutting down on unnecessary expenses or consolidating any outstanding debt. As the bank will also run a credit check, make sure that you are across what is in your credit report. There are some standard documents that the bank will require, these includes proof of ID, income, verification of your current address, and proof of where your deposit is coming from. This is worth doing in advance as some of this can take time to put together. For parents who would like to support their children with a first home buyer deposit, what are the options and what do they need to consider? There are a number of options for parents wanting to support their children in buying a first home. Some of the most common are through a non-repayable gift, formal loan from family, or becoming a guarantor. These are not riskless options and each has its own complexities. Before entering into anything you should definitely seek independent legal advice. 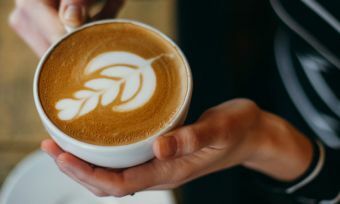 For example, a gift, whilst a common form of financial assistance has the benefit of immediately boosting the deposit however can become complex if the borrower’s personal relationship ends. A guarantee may put the guarantors in a position of financial hardship, should the borrower be unable to meet repayments for whatever reason. Another option is where parents set aside funds in an offset account. This reduces the interest payments on the loan, while the funds remain under the parents’ control. What do first home buyers need to be aware of if they would like to use their KiwiSaver funds toward a first home deposit? Using the KiwiSaver first home withdrawal is a great way to contribute towards your deposit. It is worth noting that you can only use this as a way to purchase a first home you intend to live in. It can’t be an investment property. You’ll need to have had your Kiwisaver account opened for at least three years and will need to leave a balance of $1000 in your Kiwisaver account, after making the withdrawal. If you have transferred any funds from an Australian Super fund, these will not be available, but everything else will be, including employer contributions. Applications for the KiwiSaver first home withdrawal can take some time, so we do recommend starting that process early. There is also the KiwiSaver Home Start grant which can provide up to $5K for the purchase of an existing property or up to $10K for a new property per borrower. There are some conditions around this so it is important to have these covered off before factoring these funds towards your deposit. 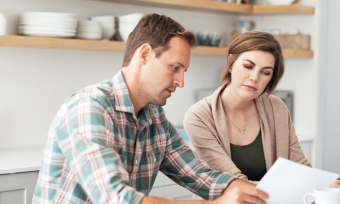 Our lenders are specialists and always happy to help navigate what the options are for people looking to make that first step towards home ownership. Recent research has shown the average age of first home buyers is increasing, has Kiwibank noticed this trend and what does this mean for first home buyers paying off home loans? 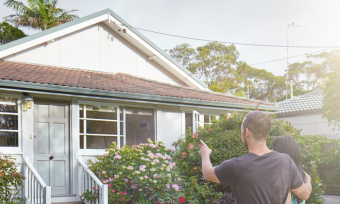 In line with the overall market, Kiwibank has seen that, over the course of the past 10 years, the average age of our first home buyers has increased. Working with our lending specialists throughout the life of the loan there are many ways that we can assist in paying it off as quickly as possible. This can include the adjusting the structure of the loan to suit changing circumstances, increasing the repayment amounts above the minimum, especially when there is a decrease in the variable rate, and making use of the lump sum contributions where this is available. We have a number of calculators available online so that customers can see the impact of any changes that they make, or they can talk through their options with one of our home loan specialists. Structuring a home loan can be a confusing process, what should first home buyers consider before choosing a home loan type? There is no requirement to have all your funds in either fixed or floating rates. It is quite common to have a portfolio of different fixed rate terms and also floating rates. In essence, fixed rates will give you certainty around your repayment amounts and make budgeting easier. Floating rates allow you to make additional repayments. If you are disciplined about making additional repayments, then you can pay off your loan faster. Having a mix of both fixed and floating can give you the option to pay off more and reduce your debt whilst also giving a level of certainty around your regular repayment amounts. There are benefits to both and it is worth speaking with your lender on what best suits your situation. Often this will change throughout the time that you have your home loan, this is where building the relationship with your bank and ensuring that they understand your needs will benefit you over the long term. 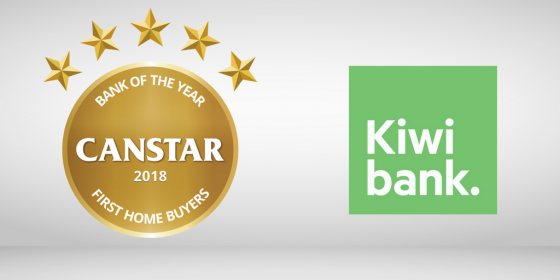 Kiwibank has retained its Canstar Bank of the Year – First Home Buyers status, for the eighth year in a row – helped largely by its competitive interest rates. “Kiwibank outperforms the market on total cost of the loan with loans at a greater than 80% LVR,” Canstar NZ general manager Jose George says. For loans with an LVR of greater than 80%, Kiwibank applies an upfront fee, which is proportional to the LVR and loan amount. The majority of the market applies a margin on the interest rate. “Due to this fact, Kiwibank may be thousands of dollars cheaper on 90% LVR an tens-of-thousands of dollars cheaper at 95% LVR,” Mr George says. Kiwibank also performs well with its institutional support and it offers a good amount of services and features for first home buyers. The support includes: specialist lenders, a range of educational materials, tools and calculators, and additional services, such as a high interest savings account to first home buyers.